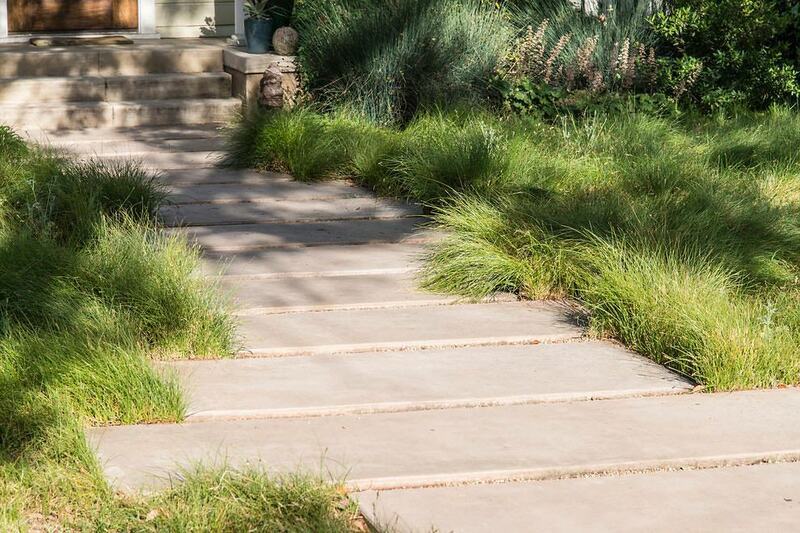 From David Morello on ‘Houzz‘, this is a great example of an easy lawn alternative. 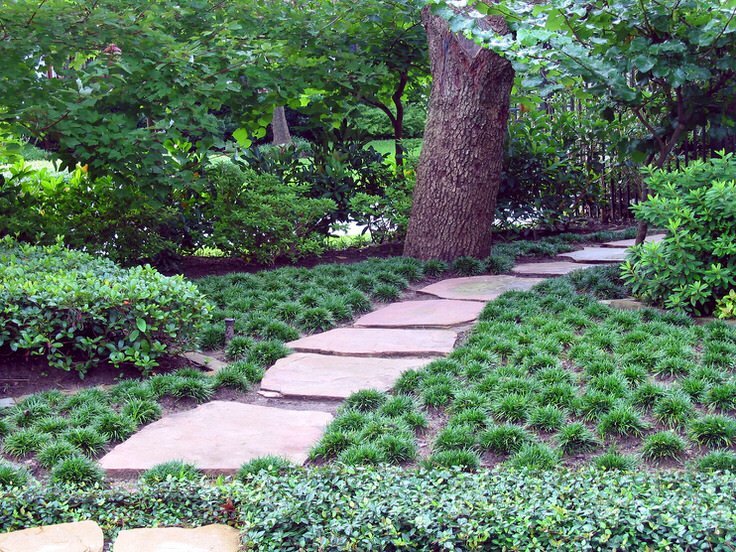 In this front yard landscape they used a stone pathway, and surrounded it with a mass planting of Mondo Grass. 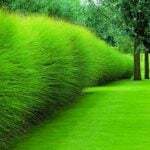 This grass is a perennial groundcover, and is evergreen in many climates. 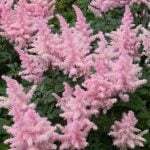 It is also drought resistant once established. 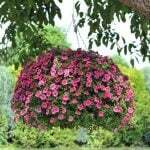 It grows in this clump like form and never requires mowing. Simple, but extremely effective lawn replacement! ‘Sunset Magazine‘ has a great lesson on a lawn replacement front yard landscape. They used drought resistant shrubs, then replaced the main area with permeable gravel and a stone walkway. The gravel allows the rain water to soak into the ground instead of running into the street. This is also a great example of how replacing your lawn doesn’t have to look barren or like a desert. This could be anyone’s home and it’s an easy transformation. 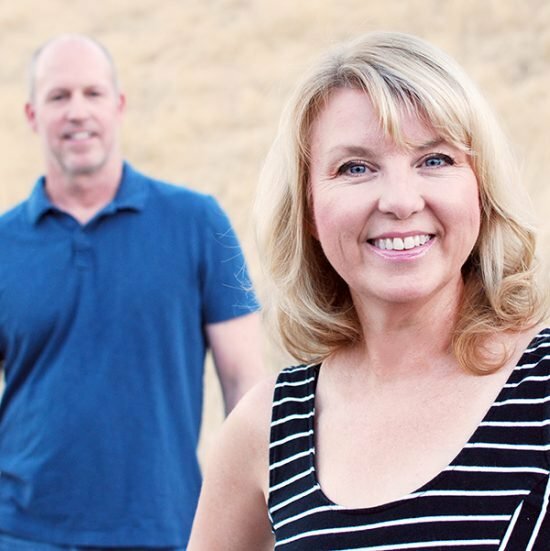 Check out the article to see how much they saved on their water usage! From ‘Be Landscape’ via ‘Houzz‘, this is a great example of using English Garden style to create a front yard lawn alternative. 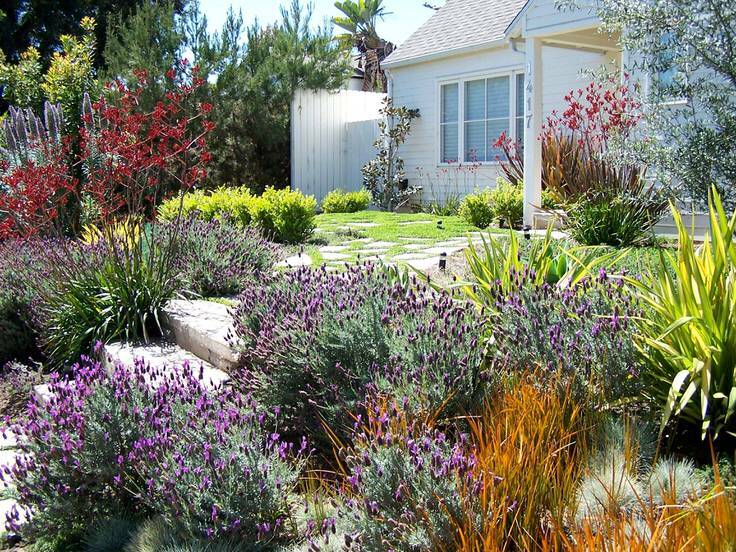 They created a small “lawn” area with a green ground cover, and then planted the rest of the yard liberally with drought resistant plants. This is a great alternative to grass that also makes for the most charming front yard on the block! 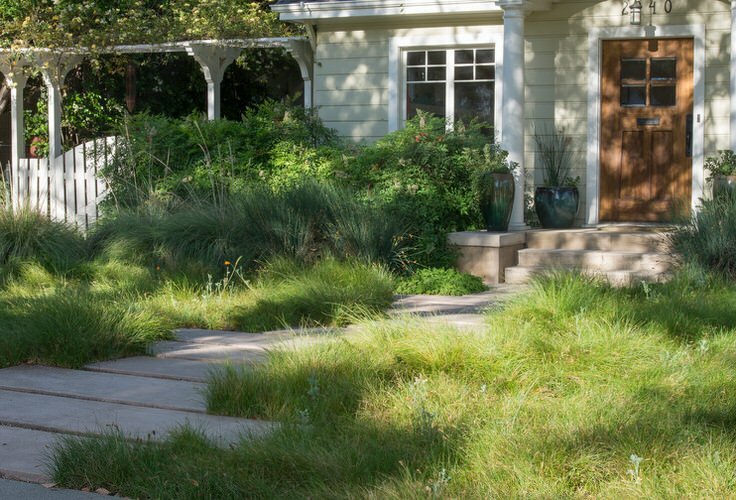 ‘June Scott Design’ via ‘Houzz‘ has the perfect lawn replacement idea. Using native grasses that require no mowing and very little water! Don’t be fooled into thinking that a lawn is the only front yard landscaping idea that makes sense. Be the trailblazer on your street! 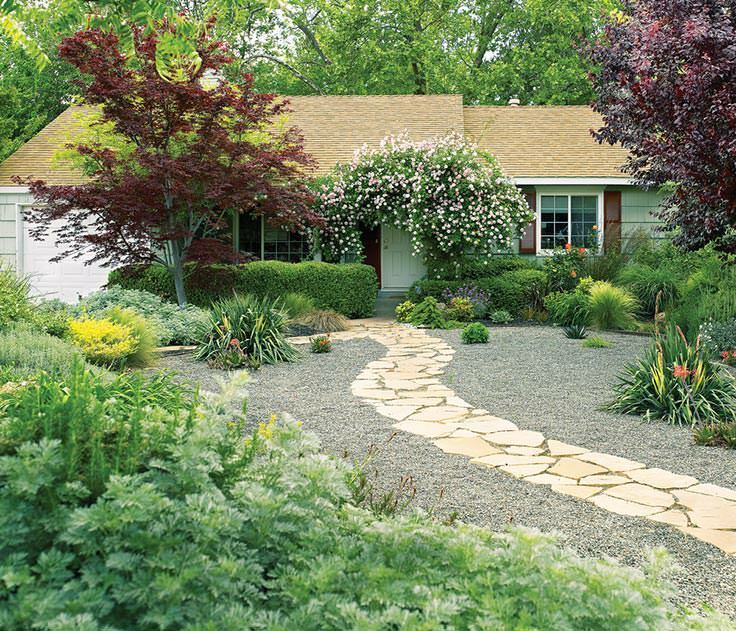 Adding a dry creek bed to your front yard landscaping is a DIY project most of us can do ourselves. 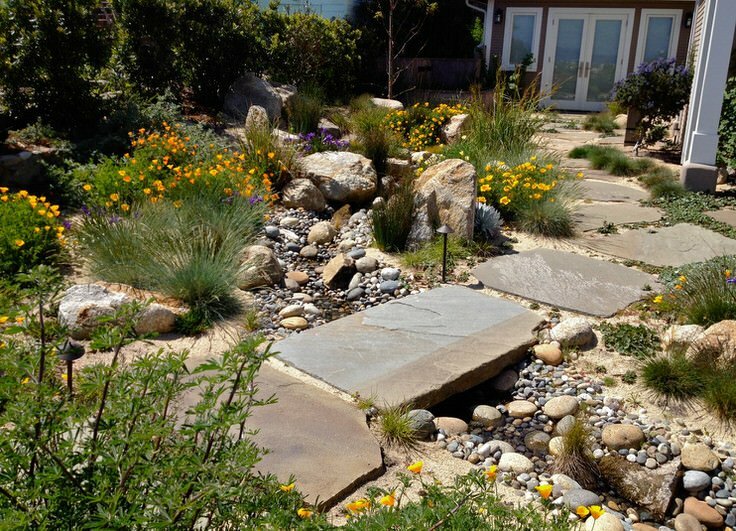 Using rock and stone to create this grass alternative requires no water usage for the dry creek itself, and very little watering of plants used to enhance it. 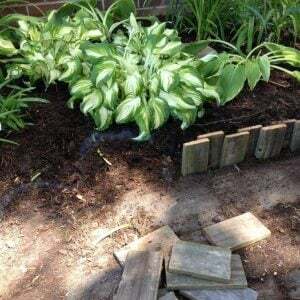 You can read our post to find out all about DIY Dry Creek Beds. Photo by ‘Houzz‘. 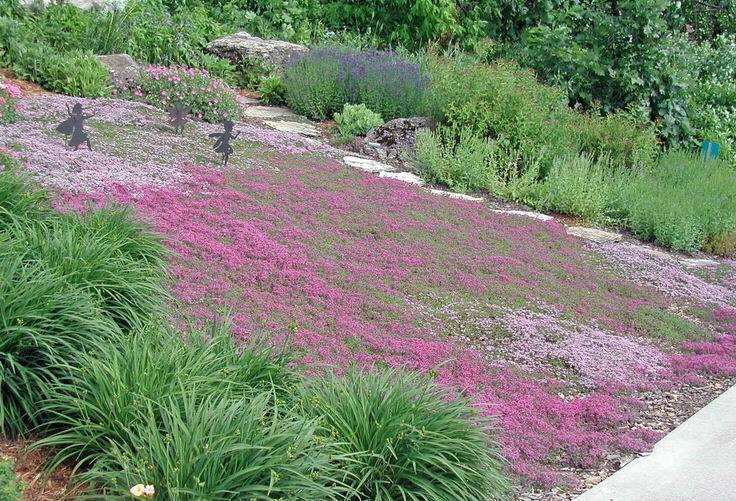 ‘Fine Gardening’ has a reader that shared this amazing alternative to lawn… Creeping Thyme! 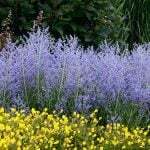 This easy and drought resistant ground cover will bloom in the spring and early summer, and stay evergreen all year. It is “stepable” but never needs mowing. Great for our bee friends, and easy on water resources. And really easy on the eyes! Photo from ‘Roberta Smith‘. 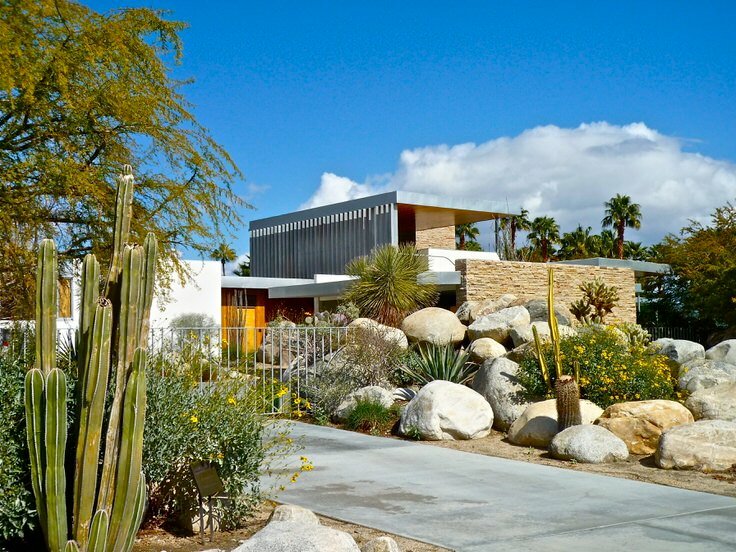 We have a great idea from the world famous “Kaufman House’ in Palm Springs. Go big, or go home! 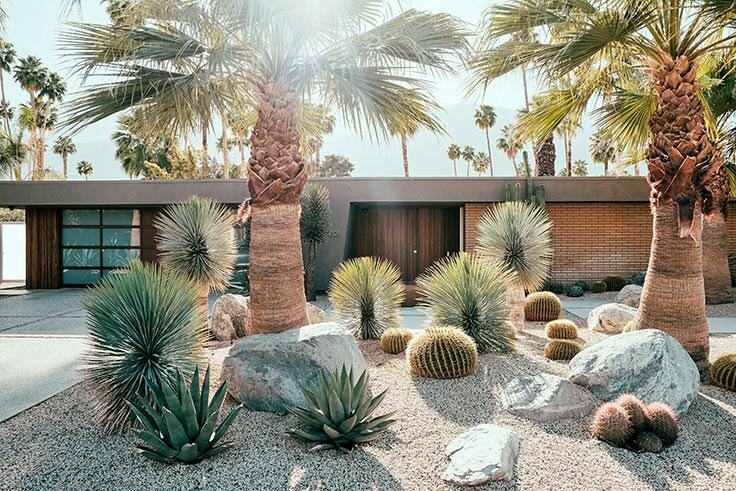 They used native boulders to create a one of a kind, gorgeous front yard entry that is from the renown designer, Richard Neutra. You can adapt this idea for use in your own yard from this desert landscape. Local rock companies will bring in and place boulders for you, so no worries about the heavy lifting. And finally, keeping with the desert theme, if you happen to live in a desert area like Palm Springs. Tempe or Scottsdale, you can create wonderful front yard landscaping with crushed granite, large rocks, cacti, yucca, agave and other desert plants. Photo from Sunset.com. 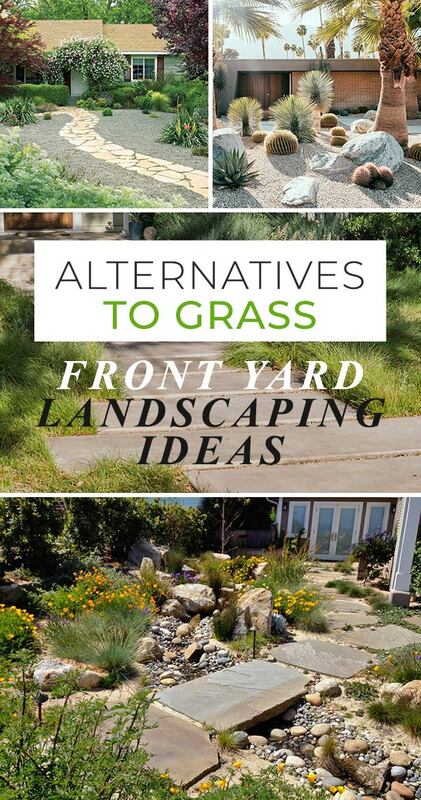 We hope you got lots of inspiration on Alternatives to Grass! 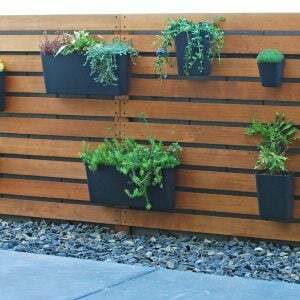 We think you will also want to jump right on over to our posts, 10 No Fail Drought Resistant Plants for Low Water Gardens and Great Groundcover Plants!